A potlatch is a ceremony held by Pacific Northwest Native Americans. Potlatches, typically hosted by families within a tribe, are held to commemorate major life events such as birth, traditional namings, coming of age, weddings and the celebration of life. During the event, hosts often share their traditional family-owned songs, dances and stories with the community. Items are gifted to guests including money, blankets, baskets, paddles and canoes to show the families’ social status as well as their appreciation of support. 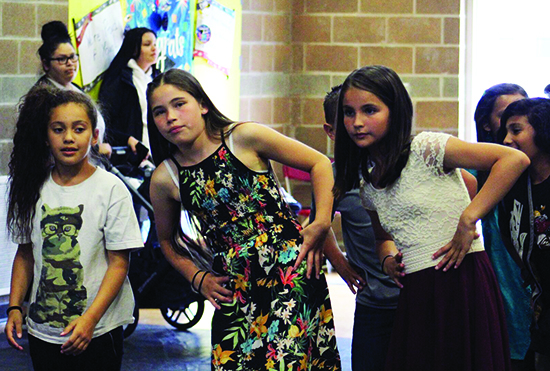 By accepting the gifts, the community can confirm that the event took place. Official witnesses are appointed to remember what occurred during the event. Potlatch ceremonies have been practiced by the Coast Salish people for centuries. 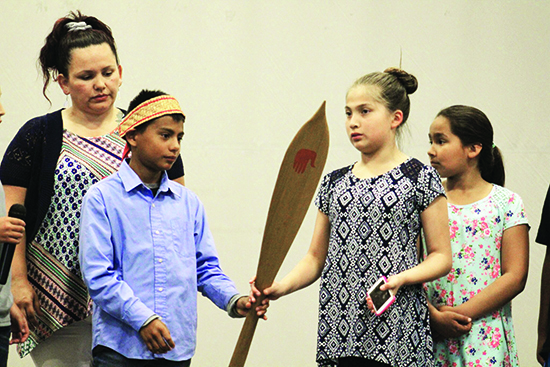 Quil Ceda Tulalip Elementary (QCT) hosted their Annual 5th Grade Potlatch at the Francis J. Sheldon Gym on June 5, 2017. 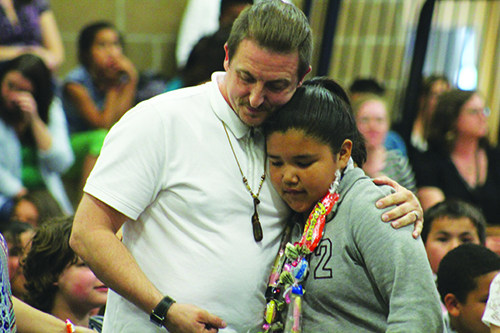 The event is held to congratulate the students on the successful completion of elementary school while honoring Native American heritage. “Our people, long ago, used to have potlatches. Often times at a rite of passage – the first deer a young man might get or when a little girl turns into a young lady. So it’s a perfect time to hold a potlatch and honor them during the transition of life,” states QCT Cultural Specialist, Chelsea Craig. 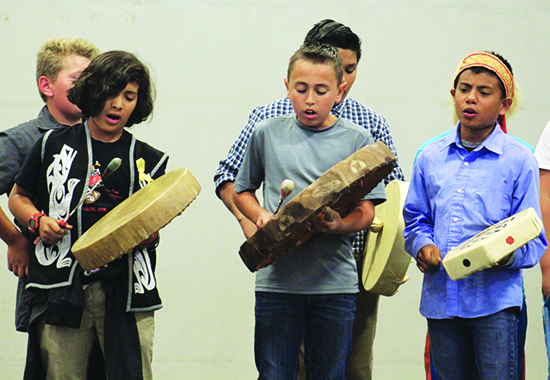 During the potlatch, the fifth graders performed traditional songs and dances. 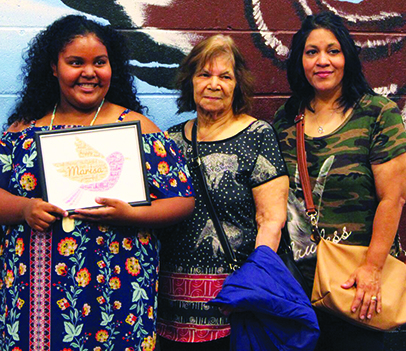 Elected student speakers reflected on their time at QCT, thanked their favorite teachers and offered words of encouragement to their fellow students. The students also appointed official witnesses, Tulalip Board Member Jared Parks and Lushootseed Language Teacher Michelle Myles. The fifth grade class offered advice to the fourth grade class during the passing of the paddle, a tradition that signifies the transferal of leadership. 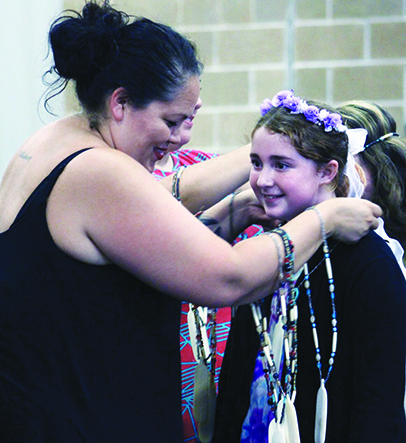 The fifth graders were presented with certificates as well as beaded necklaces that featured a small cedar-carved paddle as the medallion to commemorate the QCT potlatch commencement ceremony. The students made a variety of items including handmade cedar-woven baskets to gift to everybody in attendance. 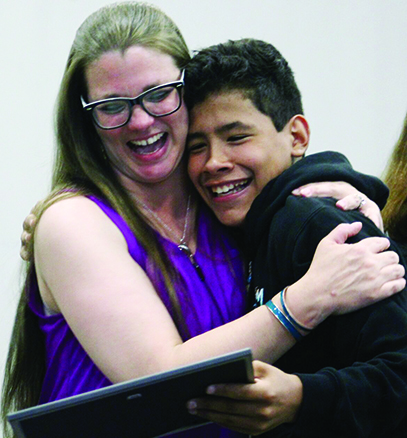 QCT is making strong efforts in changing the education system to work in favor of the future generations of Tulalip. During the assimilation era, Native American children were forcibly removed from their families and sent to boarding schools, where they were punished for speaking their native language and practicing cultural traditions, in an attempt to ‘kill the Indian, save the man’. Traditional ceremonies such as potlatches were also nationally banned during this time period. The school aims to begin the healing process of generational trauma, caused by assimilation, through cultural and community-based teachings. This entry was posted in Education, News, Tulalip News by Kim Kalliber. Bookmark the permalink.